Miguel Cabrera has come a very long way in his career in the Major League Baseball (MLB), having made his debut in 2003 and coming to become one of the most dangerous hitters the game has ever seen. Not only has he won many individual awards, he is also a World Series Champion. Apart from his life as a baseball player, he has done and achieved a lot in his personal life. Here is all to know about him. 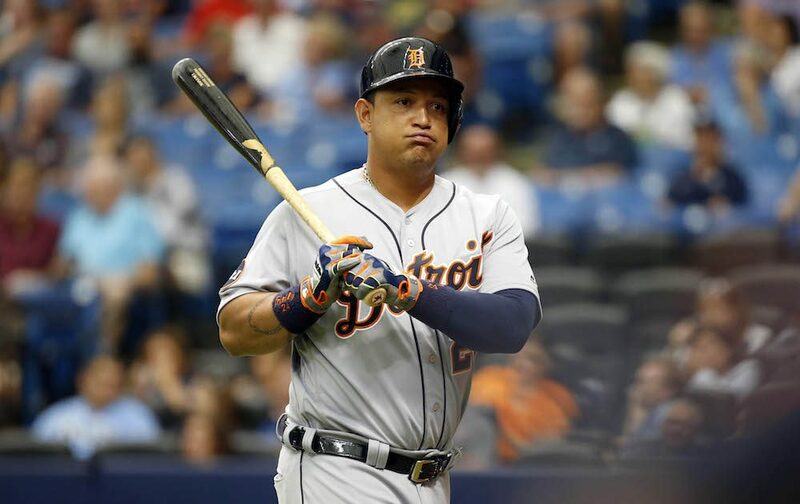 The Detroit Tigers star was born José Miguel Cabrera Torres on April 18, 1983, in the Venezuelan city of Maracay. It was in his home country that he was brought up and by the time he was a teenager, it had already become apparent that he was going to be as great a player as he has become. Also known as Miggy, Miguel was raised in the La Padrera neighborhood alongside his sister, Ruth Cabrera Torres by their parents who were not strangers to baseball as they played a little of it when they were in their early years. Hence it was easy for them to encourage him to play some more, and there were also his uncles Jose Torres and David Torres, who were there to coach him. At a point, Miggy got to become one of the most sought-after baseball players in the whole of South America. This helped him to be signed in 1999 by the Marlins as a free agent. He remained in the minor league before he got promoted to the MLB in 2003 to play for the Florida Marlins. In 2008, he made a move to the Detroit Tigers in a trade. It is with the team that he remained with till 2014 when he signed a $248 million contract extension that would have him stay till 2022 or even more. Regarded as one of the best hitters of his generation in the MLB and beyond, he has won the World Series championship and 2 League championship titles. More so, Miguel has made 11 MLB All-Star teams and 4 Tiger of the Year, just as he has likewise won as much as seven Silver Slugger Awards, five Luis Aparicio Awards, and two Hank Aaron Awards. Miguel Cabrera came from a family that is inclined towards athletics in general and baseball in specific. This is because not only were his parents involved in the sport, his uncle, David Torres played for the St. Louis Cardinals. 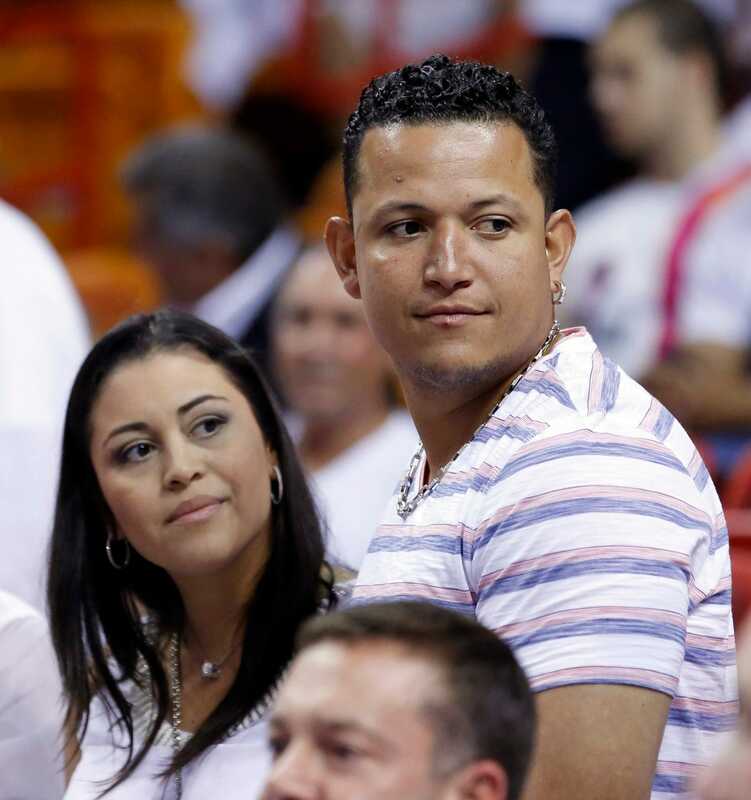 Cabrera has been married to Rosangel Cabrera since 2002. Although the two are still together, their marriage has not exactly been as smooth as silk. This is as he has been involved with another woman, Belkis Rodriguez after he has been married. The relationship between Miguel and the mistress was serious enough that it forced Rosangel Cabrera to file for a divorce from her husband of more than 15 years in 2017 after it became clear that Miggy had already had 2 kids with Rodriguez. When the relationship was on, he was said to have helped her pay for a $1 million mansion while also spending $10 thousand in birthday parties and Disney Cruise. There was also $15,000 a month in child support that the baseball player was paying for his 2 kids with the mistress. In order to save his marriage, Cabrera came to a deal with his wife to cut off all ties with Belkis Rodriguez and because of that, he decided to change his number and stop paying child support for the kids who as of February 2018 were 5 and 2 years old. As a result of that, Rodriguez dragged him to court, demanding that he be made to pay her $20,000 per month in child support, which she said was what he had always paid her. It was, however, later revealed that what she was looking to get was $100,000 considering the fact that he was making $30 million annually. Unfortunately for Belkis who was infuriated that Cabrera would not leave Rosangel Cabrera for her, the court ordered him to pay $12,000 in child support while also funding their education and other things. Apart from the two children he has with Rodriquez, Miguel has 3 children with his wife: Christopher Alexander Cabrera, Isabella Cabrera, and Rosangel Cabrera. If there are things to take off from Miguel Cabrera, his power which has stood him out as a hitter is definitely not one. He is a man that has good height and a rather large build, although he has been able to shed off some pounds in the past. He measures 6 feet 4 inches in height and his body weight is 240 lbs.